Set in Alabama during the Great Depression, To Kill a Mockingbird follows the journey of Jem and Scout Finch, whose father has been appointed to defend Tom Robinson, a black man framed for a crime he didn’t commit. 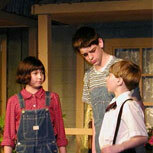 As the trial progresses, Jem and Scout witness their community in a tense tug of war between justice and racism. This timeless classic compels us to take an honest look at our nation’s past and our moral responsibility to each other. 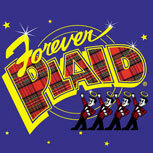 Forever Plaid is an off-Broadway musical revue written by Stuart Ross. The show is a revue of the close-harmony “guy groups” that reached the height of their popularity during the 1950s. Personifying the clean-cut genre are the Plaids. This quartet of high-school chums’ dreams of recording an album ended in death in a collision with a bus filled with Catholic schoolgirls on their way to see the Beatles’ American debut on The Ed Sullivan Show. The play begins with the Plaids returning from the afterlife for one final chance at musical glory.